Anyhow, I used to run pretty avidly, however the past few years have definitely seen a big decline. So, in November before all the NYR’s started rolling out at the gym, I decided to start trekking back to where I used to be. Goal: Run past 15 mins. without looking like a zombie afterwards. Last week I finally(yyy) felt wonderful and happy about having to run. Pro-active score: one check for Laura. Another check was to make sure I get my diet closer to where it was a couple years ago, as well. I was a vegan (although not anymore/vegetarian now), but with that, I was very conscious about making sure I had a SUPER balanced diet. I wasn’t a vegan who just let cookies, bread, and sandwiches with avocado spread become my only options. I’m talking I was fairy-food status. LOTS of gorgeous fruits and vegetables, Ayurvedic supplements for stress, warm lemon water in the a.m. for proper digestion, you name it. My diet is still very balanced, but it’s in need of starting a pretty static juicing routine, and well, just those elements that used to make my body feel a lot better. This year is about re-adopting that way of living, only a little more forgiving. As a woman, and with the honesty I try to have on my blog, I used to get so unravelled after eating a cookie, or having a bite of cake. Granted, it was even ‘healthy’ cakes and cookies! Gluten and dairy free, and I still felt those pieces of guilt. Screw that. The beauty of simply living life from moment to moment, comes out when you let go a little. Finding that balance is the forefront of this year. 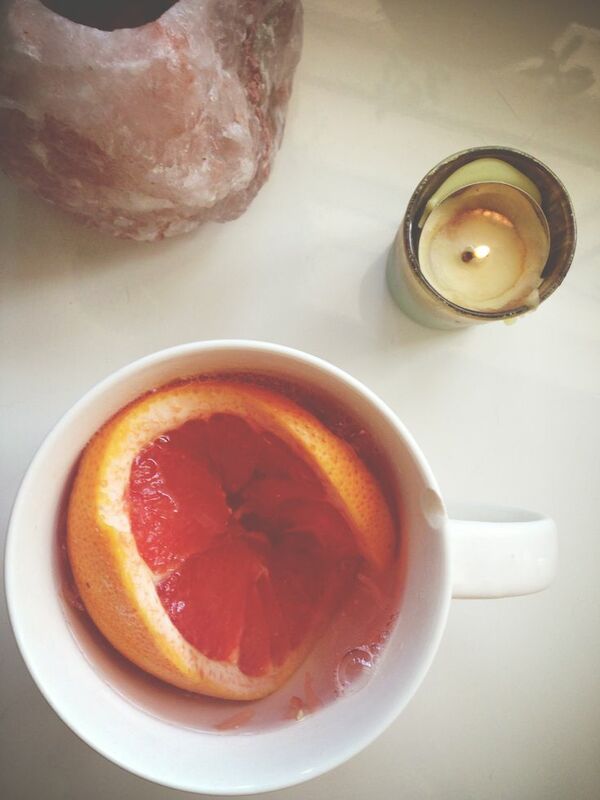 Warm citrus water is a new, absolute, daily-morning must. And it’s such a simple, thoughtless step in the morning. 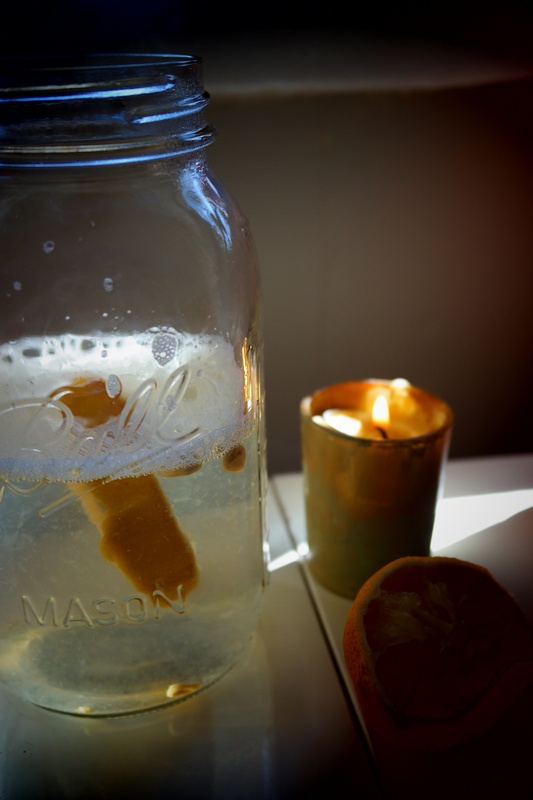 It is so beautifully cleansing for our liver and helping our bodies properly rid of unneeded toxins. 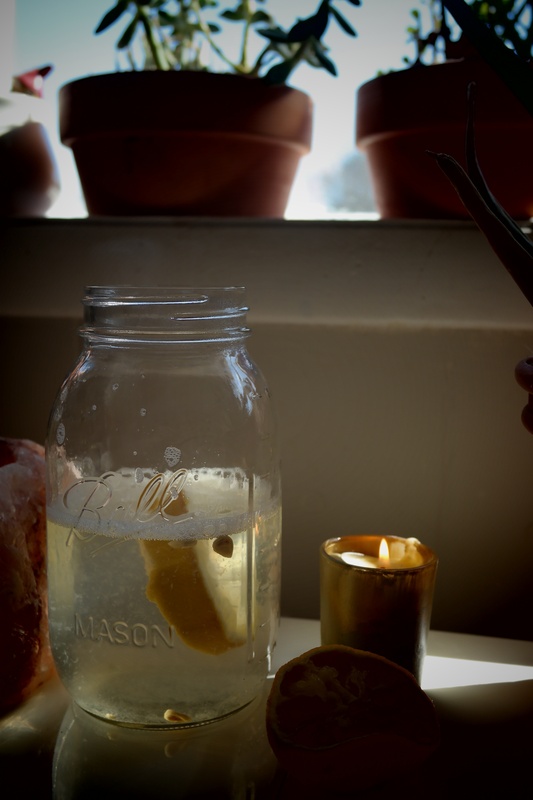 It also helps naturally rev-up our systems for the day, awakening our own body’s synergy. And a plus side-effect is more vibrant, clearer, radiant skin due to the extra aid we’re giving our bodies in digestion. As you can see, I’ve either been swapping lemon for grapefruit here and there. Mixin’ it up a bit! So, cheers to a new daily beauty routine, loves.